If your video library are rich in HEVC video files, the happiness and annoyance might be half and half. What's worth a joy is that HEVC (High Efficiency Video Coding) can save your space up to 50% compared with the H264 equivalent while keeping virtually the same high quality. What bothers you is that you need to look for a HEVC player to playback HEVC/H265 files on your Windows or macOS. Yes, H265 video player software does matter a lot, yet your computer hardware configuration is unnegligible, as well. So before we jump to the part of HEVC player recommendation, let's have a check on the list of HEVC supported hardware. Or, you still can't play HEVC video even if you get the H265 video player. Below lists out the current hardware configurations that support HEVC video decoding and playback. Check if your hardware meets the requirements. Don't feel gloomy if your hardware configuration doesn't address the above needs, for this doesn't mean you're 100% unable to decode HEVC video. Nothing is absolute. Though some computers sport with entry-level CPUs, they might have no problem to decode HEVC video under certain circumstances. Of course, in general, if your computer is "too slow" like snail speed, the chance to decode H265/HEVC video might be slim to zero. So you'd better make sure your hardware configuration is at least qualified (if not excellent enough) first and then we embark on the journey to dig out the best HEVC/H265 video player for Mac/PC. 5KPlayer has a vibrant and creative developer team, which subtly detects users' need to play HEVC video. Thus, users first. They immediately devote themselves to upgrade 5KPlayer to fully support playing HEVC 8-bit, 10-bit and even 12-bit video (hardware high end enough) without any extra HEVC codec downloads. It also has no problem to play 4K/5K/8K video in H.265, H264, MP4, MKV, AVI, etc. 100% safe and clean. Only 8-18% CPU usage! Potplayer is covered in this top free HEVC player list on account of its advantages. Chief among them is its hardware acceleration tech (Intel QSV & Nvidia CUDA) to largely speed up HEVC video decoding to a large extent, with CPU usage at 18% - 40% for HEVC 1080p/720p playback. Secondly, this free HEVC video player supports an expansive library of video codecs so that you have no need to download or install any HEVC codec pack. Thirdly, it gives you the power to free play MP4, MOV, AVI, FLV, etc. video on PC with text subtitles (SMI & SRT), DVD(Vobsub) and Blu-ray subtitles supported. 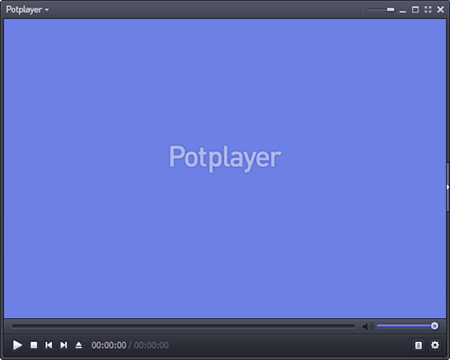 Certainly, there is a reason that we place Potplayer at the second place. On one hand, it leaves Mac version to be desired. On the other hand, its performance of HEVC 4K playback is not so stable as we expect, video audio out of sync sometimes. Some VLC fans can't agree on this VLC scores and ranking. We absolutely understand and all admit that VLC does remarkable jobs in many aspects, be it playback H264, 4K video, MP4, MKV, free convert video and download video, etc. Yet, objectively speaking, VLC isn't omnipotent. It's created by the flawed human being, right? And when it comes to play HEVC video with this free H265 player, its imperfect side is unearthed. Generally speaking, if your computer is running on the latest Windows 10 or macOS High Sierra and features high-level hardware configurations (CPU, GPU & RAM), then there is high likelihood for you to successfully play HEVC video in 720p, 1080p or 4K without downloading extra HEVC codec packs. That's because Win 10 and macOS 10.13 natively support hardware decoding HEVC codec. Therefore, it doesn't matter a lot even if VLC player software is weak in decoding HEVC codec. If not, sorry to inform you that you might need to spend more time and energy to download HEVC codec packs like x265 (free library for encoding video into the HEVC), libde265 via PPA for your Ubuntu, K-Lite codec pack, etc. before playing H265 using VLC. Acrok Video Converter Ultimate is one of the best HEVC players on the market, both Mac and Windows versions are available to use. It has full support for HEVC H.265 importing, exporting and playback, enabling highest quality H.265/HEVC videos playing on Mac/PC. Moreover, it also acts as an H.265 converter which could convert HEVC H265 to H264, MP4, MKV, MOV AVI FLV etc. so that you can effortlessly play high definition H.265 videos on Mac/PC iPhone iPad and Android devices on the best player for HEVC. Q 1: Why the latest version of VLC plays HEVC video so choppy, skipping frames, unwatchable? Answer: HEVC file is a heavily compressed video (about double the compression ratio compared with AVC/H264) so that your computer needs to do far more work per frame to uncompress file data. In other words, HEVC video decoding and playback is much more processor intensive than others like H264. If your system is too old to support hardware HEVC/H265 decoding, your computer CPU processor doesn't provide fast enough speed to decode HEVC and your intel memory (RAM) is too small (e.g., only 2GB), then you are in high likelihood to meet the HEVC video choppy playback or stuttering problem. Hence, the simple solution is to use a high-level computer to play HEVC, along with the latest operating system. Besides, HEVC video file might be the problem. You're suggested check if it's intact. If not, use a video repair software to repair it first. Q 2: Trouble playing 4K, 1080p HEVC video on VLC, Potplayer. There is no big problem to play HEVC video on VLC and Potplayer in 720p. But who doesn't they support h265 1080p and 4K playback? Answer: As is know to all, 4K and 1080p video playback are much higher demanding on both software and hardware than 720p playback. Just as mentioned above, if your computer hardware configurations are not strong enough, it's not surprising that VLC and Potplayer fail to play HEVC video in 1080p or 4K 2160p although both players support 1080p/4K resolution. Luckily, here are two effective solutions for your consideration. 1. Upload these videos to cloud services like Google Drive to let cloud services do the heavy work of decompression and decoding. 2. 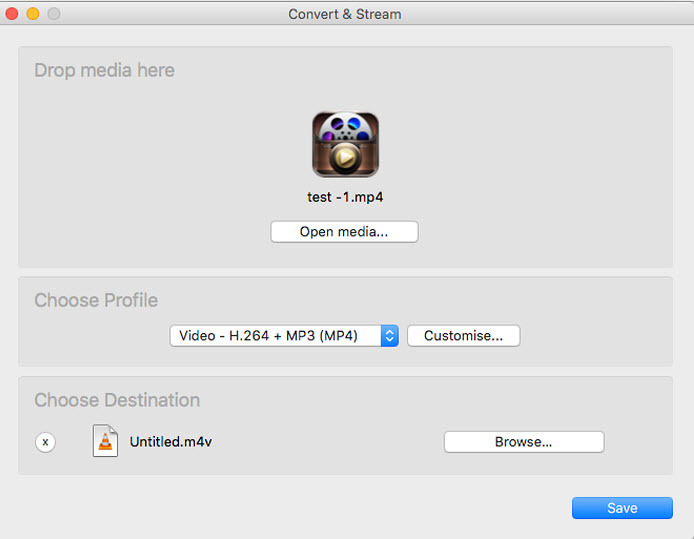 Convert 4K/1080p HEVC to 720p HEVC using a HEVC converter like MacX Video Converter Pro, Any Video Converter, etc. Thus, you can easily play HEVC/H265 video on Mac/PC in 720p without choppy image, video audio out of sync problems. Q 3: I need an h265 movie downloader software to free download HEVC movies from online movie sites. I don't know much about this kind of software. Simplicity would be my primary concern. Any advice? Answer: You can free download MacX YouTube Downloader for a try, suitable for both newbies and experts. Only 3 clicks and you can easily free download H265/HEVC Hollywood movie, Bollywood movie from YouTube, Dailymotion, hdmizone, 300mbfree4u, moviezine, moviefone, crackle, etc. 1000+ video movie sharing sites in MP4, MKV, FLV, WebM, 3GP, AVI, etc. with any resolution (720p, 1080p, 4K UHD). No extras needed (plug-ins, add-on, extensions, third-party app). 100% safe and free. Q 4: Just wonder how to play hevc videos on my Xbox 360 and other devices? Answer: Back in 2016, Windows 10 gets native support for High Efficiency Video Coding (HEVC), making it easier to deal with 4K media. But there are still a large number of popular media player services do not support HEVC, such as Chromecast, Apple TV, 3rd Roku, Xbox 360, etc. So how to play H.264/HEVC videos smoothly? Here 3 solutions are offered. 1. Free download H265/HEVC codec. HEVC codec will help to compress/decompress videos in HEVC and makes HEVC playback possible. Right now, there are many choices available, such as x265, DivX HEVC, K-Lite Mega codec park, etc. 2. Install HEVC player. 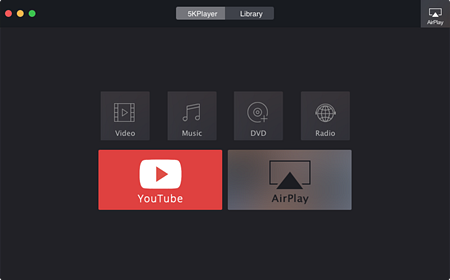 There are many media player adding support for HEVC, such as 5Kplayer, Potplayer, etc mentioned above, which are built-in many codecs, including H.265, so that you can play various videos of any resolution or format. 3. Take advantages of HEVC decoder. Video decoder helps to decode video into a format recognized by your computers, media players, game consoles, mobiles and tablets. And an HEVC/H.265 decoder also helps to decode HEVC/H.265 videos playable on your wide-screen mobiles. Famous HEVC decoders include Handbrake, MacX Video Converter Pro, etc, which work as both HEVC encoder and decoder to convert videos to/from H265 smoothly. Q 5: Is it possible to play hevc video on my smart TV? Does my Samsung smartphone support hevc codec? Anyone knows the current devices that are compatible with HEVC codec? Answer: As is known to all, it will be a long time to go for the widespread of HEVC as H.264 does. But there still some HEVC services walk in the front end, bringing us convenience for recording, watching, downloading and playing HEVC video on iPhone Android. This is how HEVC adopted in video service and products till now. 1. Apple's iPhone 6/6 plus/6s/6s plus/se uses HEVC for Facetime video chats over cellular networks. 2. The Samsung Galaxy series support HEVC decoding since S4. 3. Amazon Instant Video streams Ultra High Definition movies encoded with HEVC. 4. Netflix is streaming Ultra High Definition movies encoded with HEVC. 5. M-Go offers both streaming and downloading HEVC movies in 4K UHD. 6. The next generation Ultra High Definition Blu-ray Disc standard will utilize HEVC. 7. Windows 10 will support HEVC playback natively. 8. The Samsung NX-1 Digital Camera records 4K video with HEVC. 9. Sony, Samsung, LG and many major TV manufacturers support HEVC decoding in their latest models. Nearly all 4K/UHD TVs support HEVC decoding. If you're buying a new TV, you should definitely look for one that can decode HEVC (H.265).